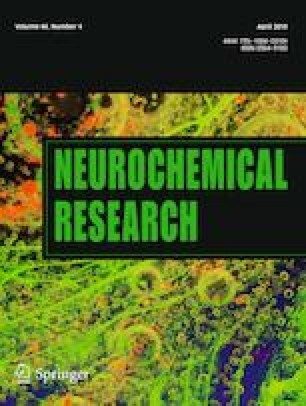 Vitronectin (Vtn), one of the extracellular matrix proteins, has been reported to result in cell cycle exit, neurite formation, and polarization of neural progenitor cells during neurogenesis. The underlying mechanism, however, has not been fully understood. In this study, we investigated the roles of Vtn and its integrin receptors, during the transition of neurites from multipolar to bipolar morphology, accompanying the cell cycle exit in neural progenitor cells. We used mouse neuroblastoma cell line Neuro2a as a model of neural progenitor cells which can induce cell cycle exit and the morphological transition of neurites by retinoic acid (RA)-stimulation. Treatment with an antibody for Vtn suppressed the RA-induced cell cycle exit and multipolar-to-bipolar transition. Furthermore, immunostaining results showed that in the cells displaying multipolar morphology Vtn was partially localized at the tips of neurites and in cells displaying bipolar morphology at both tips. This Vtn localization and multipolar-to-bipolar transition was perturbed by the transfection of a dominant negative mutant of cell polarity regulator Par6. In addition, a knockdown of β5 integrin, which is a receptor candidate for Vtn, affected the multipolar-to-bipolar transition. Taken together, these results suggest that Vtn regulates the multipolar-to-bipolar morphological transition via αvβ5 integrin. We thank professor S. P. Atamas (University of Maryland School of Medicine, Baltimore, MD) for providing the integrin expression plasmids. We also thank T. Kobayashi (Ochanomizu University, Tokyo, Japan) for helpful comments. This work was funded by the Sasakawa Scientific Research Grant from The Japan Science Society and the Japan Society for the Promotion of Science (JSPS) KAKENHI Grant Number 17K07105 from the Ministry of Education, Culture, Sports, Science, and Technology of Japan.